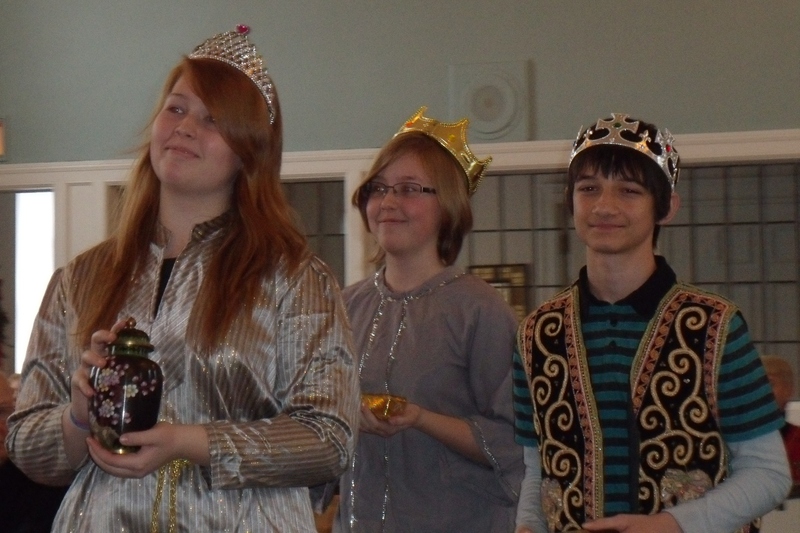 Bring your child(ren), or yourself to take part in our Christmas Pageant on Sunday, December 21. We need people of all ages to help tell the story of Jesus’ birth. No parts to memorize, no rehearsal. It’s as impromptu as the first Christmas! Come to the church at 9:15 a.m. on December 21 to get a part and a costume — or bring your own costume. YOU are part of the story. Join us for brunch in our Fellowship Hall following the worship service! Who needs to go out to some restaurant for Sunday brunch when you can dine at our place with angels and magi? This entry was posted in Events on December 16, 2014 by lyonsvillechurch.